Truth be told, until a few weeks ago the solar eclipse was not on my radar. I knew it was happening but that was about the extent of my interest. I certainly wasn’t planning on traveling just to see those couple minutes of darkness, but then that all changed. 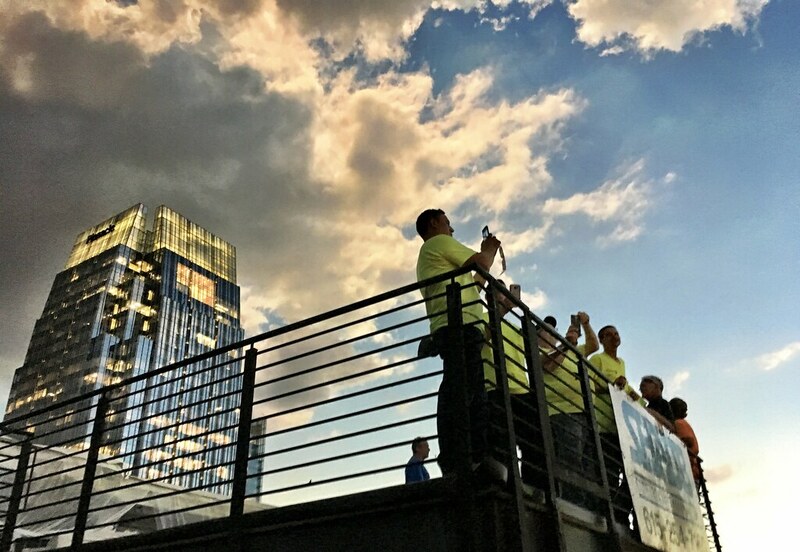 I was invited by Nissan to attend a special launch event for their new Midnight Edition trucks, which they planned to coincide with the 2017 total solar eclipse in Nashville. When suddenly presented with the opportunity to see this truly remarkable event, I couldn’t say no. Truly remarkable may sound like a trite turn of phrase, but in this case it’s accurate. I never expected the experience to be quite as impactful as it was, but I walked away from that 1 minute 55 seconds profoundly affected in ways I certainly never expected. Given the fact that it’s been 99 years since the last one, I think that it’s safe to say there are whole legions of us suddenly moved at a time in our lives when we least expected it. 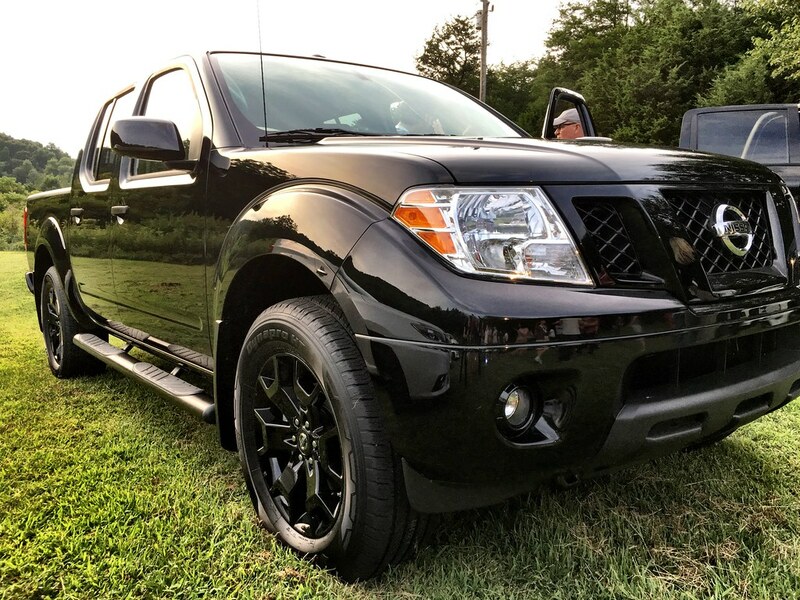 In what is absolutely a stroke of marketing and public relations genius, Nissan decided to launch three new – TITAN, TITAN XD and Frontier– to coincide with the 2017 solar eclipse. It’s not only smart from a branding point of view, but it’s also a great way to get writers from around the country to attend an event. I mean, who could say no to attending an astronomical phenomenon not seen in the United States since 1918? While I actually do have a strong interest in cars and Nissan, I’d be lying if I said the chance to attend the eclipse didn’t tip the scales, but the entire event was about so much more than that. The night before we had the chance to see the new trucks, and there’s no denying they’re great vehicles. With a whole host of new features, they’ve done a great job in reimagining these great trucks, adding some fantastic amenities to already powerful vehicles. Yes, I enjoyed the chance to see the impressive line of Nissan products, but my visit to Nashville was ultimately about not seeing the sun for a whopping one minute and fifty-five seconds. A solar eclipse occurs when the moon passes between the Earth and the Sun, thereby totally or partly obscuring the Sun for those of us here on Earth. A total eclipse happens when the Moon appears to be larger than the Sun, blocking out all direct sunlight and turning day into night. These events happen from time to time, but the last time a total eclipse happened here in the U.S. was 99 years ago. That makes this an exceedingly rare and special event and the morning of the big day, I was as nervously excited as a kid on the first day of school. 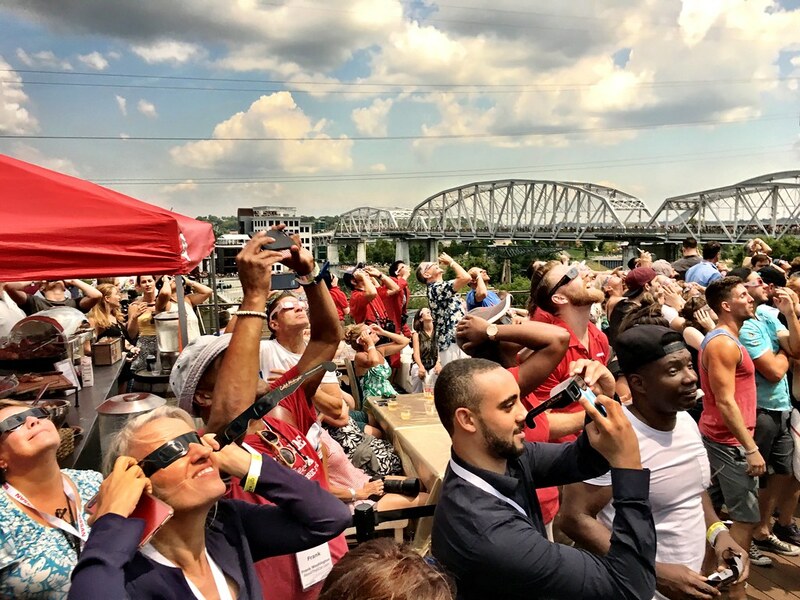 Although it was Monday morning, downtown Nashville was abuzz not with people going to work, but with locals and tourists alike, out to stake their spot for the one minute and fifty-five seconds during which the Sun would be completely blocked out by the Moon. It was a strange sensation, equal parts festival and equal parts Star Trek convention, but there’s no denying the electricity that popped through the air. 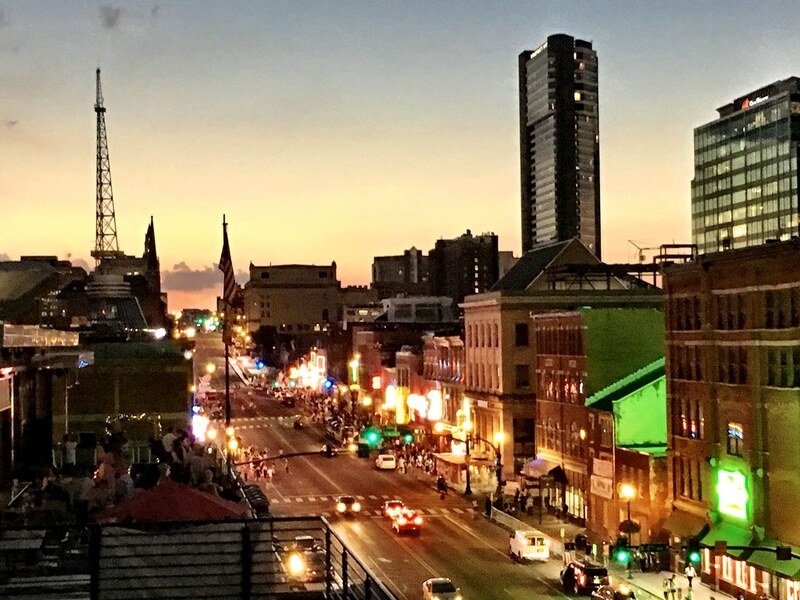 Planted firmly on the rooftop of the Acme Feed & Seed music venue, I enjoyed not only a great spot from which to see the main event, but to admire the rest of Nashville as well. 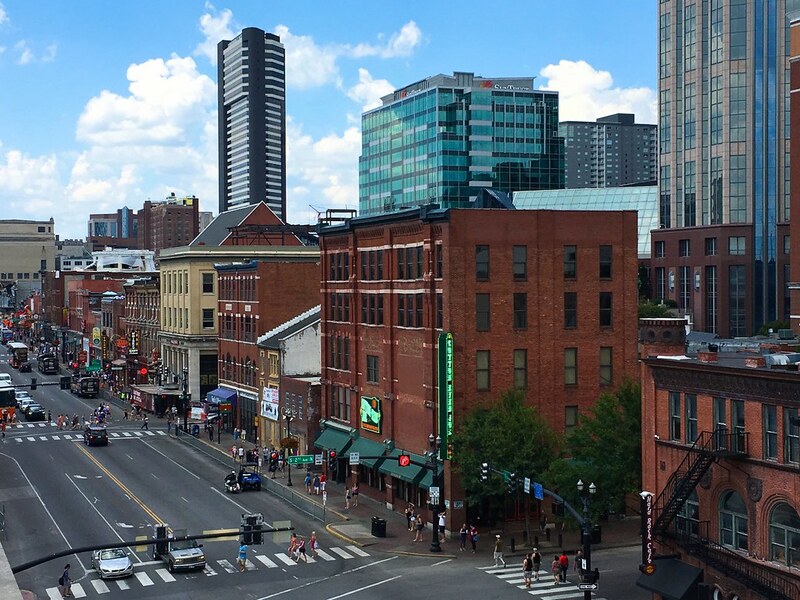 I hadn’t visited Tennessee in at least ten years, and while this visit was literally 24-hours long, it absolutely rekindled my interest, and from what I can tell the city has transformed in ways I would never have expected. Back to the buzz though, with the crowded riverbanks and sheer excitement running through the air, it was hard not to feel excited. More than excited, I was downright hyper, feeling a sense of community unlike anything else I’ve experienced. We feel this way at certain large events, like a concert or a rally. When thousands of people are doing the same thing at the same time and suddenly the sea of strangers feels like a family. That’s what it was like in downtown Nashville, except on a scale that may very well be unprecedented. 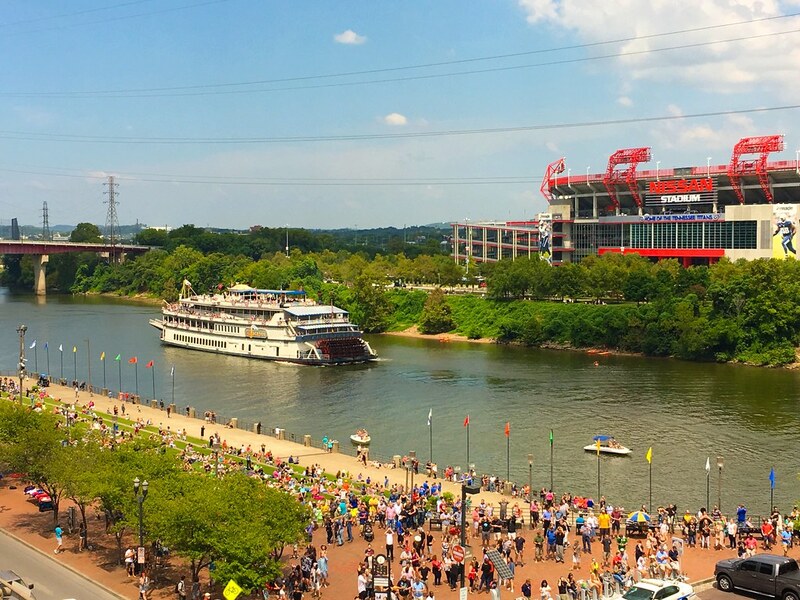 Nashville was overrun with people all there to see the total eclipse. Having the distinction as the only major city in the country where totality would be visible, it quickly became the unlikely destination for space-geeks from around the world. Those emotions turned themselves into something tangible that morning, something palpable, building to a fevered pitch during the darkness itself. Nothing prepares one for a total solar eclipse. I had read through all the facts and figures. I knew that it would get dark, that animals would act strangely, birds return to their nests and so forth. None of those cold data points though prepared me for what the experience is like in real life. While the main event was somewhat obscured for me by some clouds, the effects were in no way diminished. Quickly, much faster than I had ever anticipated, downtown Nashville dimmed as streetlights popped on and the neon signs on Broadway suddenly came to life. Going from light to darkness took less than 30 seconds, all the while we enjoyed a 360-degree sunset surrounding us. I looked around at my fellow eclipse-watchers, and even the most reserved were beaming with utter joy. No one could believe what was going on, that day had truly turned into night. Everyone knew what was expected, but this astronomical phenomenon is so strange and so rare – alien really – that nothing at all prepares you for the experience itself. Just as quickly as the city had been plunged into darkness, it came back to life. The lightness returned to the city in a scene that reminded me of the movie “The Truman Show” when the lights were suddenly turned on and off. It was so strange that even describing it doesn’t really do it justice. It was during these moments when that spirit of community seemed strongest, when everyone was suddenly a friend and nothing was wrong in the world. It was a special moment, a moment I’ve never experienced before and may never experience again. We travel for many reasons, and to see the 2017 total solar eclipse was a good one. In fact, the event this week created one of the busiest travel days the country has ever seen. That’s significant because we’re not talking about a religious holiday or the start of summer vacation. We’re talking about an event that is sacred in its own way and has been for a long time. In preparation for the eclipse I read through some articles detailing how ancient peoples dealt with these events, mentally smirking at how silly they were. Then I went through the same thing and suddenly they weren’t so silly. No, in fact it created a common bond that didn’t just extend to my comrades in Nashville, but back through the ages. It’s one of those events that links all of us as humans no matter our background or even what century we live in. Oddly enough, it’s part of the human experience I believe. The total eclipse is about so much more than a way for people to sell special glasses or t-shirts. It’s something much more special than that and certainly more spiritual. It was also just good plain fun, something so unusual that just to live through it is truly extraordinary.